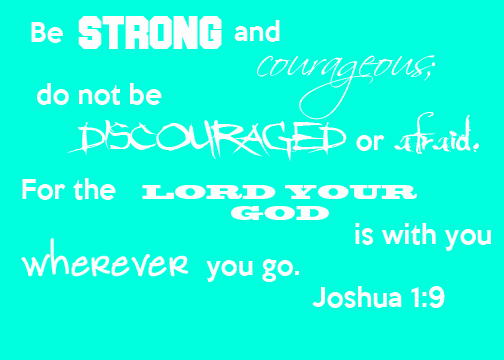 God commanded Joshua to be courageous during a time where he needed to step it up. It was important for Joshua to realize that in order to reach the Promised Land and lead many to the same place, he needed to be strong and courageous. God’s promise was simple: “I am with you always.” Now I command you to be strong and courageous, don’t be afraid or discouraged. Joshua probably asked himself a lot of the questions that we ask ourselves…am I good enough to do this? What will they say about me? What if I fail? What if this is just me and not God? What will tomorrow bring? Why did God choose me? What if I succeed – what next? In that place is where we will find a courage that will change everything. It’s already in us; it just needs to be awakened.